Certain types of bacteria in the gut can leverage the immune system to decrease the severity of stroke, according to new research from Weill Cornell Medicine. This finding can help mitigate stroke—which is the second leading cause of death worldwide. In the study, published March 28 in Nature Medicine, mice received a combination of antibiotics. Two weeks later, the researcher team—which included collaborators at Memorial Sloan Kettering Cancer Center—induced the most common type of stroke, called ischemic stroke, in which an obstructed blood vessel prevents blood from reaching the brain. Mice treated with antibiotics experienced a stroke that was about 60 percent smaller than rodents that did not receive the medication. The microbial environment in the gut directed the immune cells there to protect the brain, the investigators said, shielding it from the stroke's full force. "Our experiment shows a new relationship between the brain and the intestine," said Dr. Josef Anrather, the Finbar and Marianne Kenny Research Scholar in Neurology and an associate professor of neuroscience in the Feil Family Brain and Mind Research Institute at Weill Cornell Medicine. "The intestinal microbiota shape stroke outcome, which will impact how the medical community views stroke and defines stroke risk." The findings suggest that modifying the microbiotic makeup of the gut can become an innovative method to prevent stroke. This could be especially useful to high-risk patients, like those undergoing cardiac surgery or those who have multiple obstructed blood vessels in the brain. Further investigation is needed to understand exactly which bacterial components elicited their protective message. However, the researchers do know that the bacteria did not interact with the brain chemically, but rather influenced neural survival by modifying the behavior of immune cells. 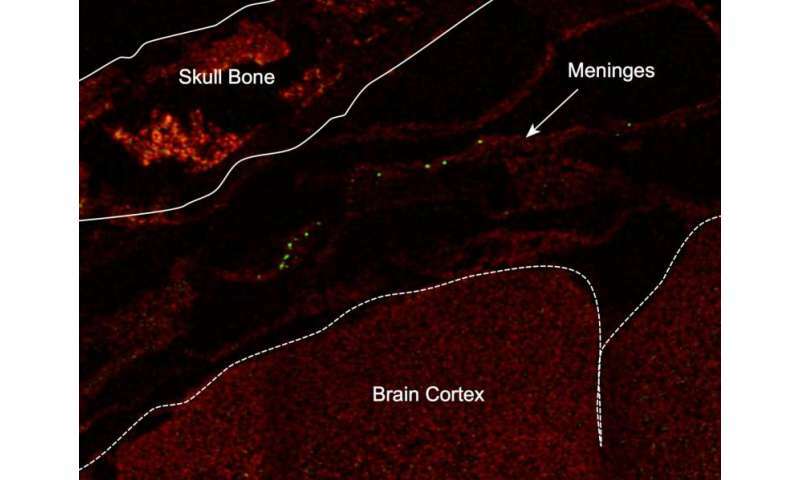 Immune cells from the gut made their way to the outer coverings of the brain, called the meninges, where they organized and directed a response to the stroke. "One of the most surprising findings was that the immune system made strokes smaller by orchestrating the response from outside the brain, like a conductor who doesn't play an instrument himself but instructs the others, which ultimately creates music," said Dr. Costantino Iadecola, director of the Feil Family Brain and Mind Research Institute and the Anne Parrish Titzell Professor of Neurology at Weill Cornell Medicine. The newfound connection between the gut and the brain holds promising implications for preventing stroke in the future, which the investigators say might be achieved by changing dietary habits in patients or "at risk" individuals. "Dietary intervention is much easier to accomplish than drug use, and it could reach a broad base," Dr. Anrather said. "This is a little far off from the current study—it's music of the future. But diet has the biggest effect of composition of microbiota, and once beneficial and deleterious species are identified, we can address them with dietary intervention."